1998 was the first year that the Air Jordan XIII was released, fast forward 6 years later and a few color-ways were re-released and new models surfaced. 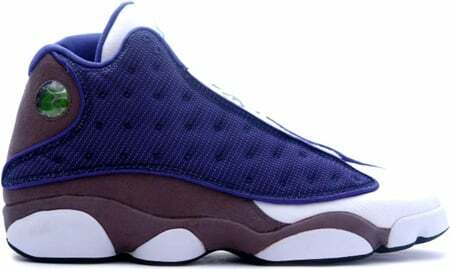 The Air Jordan 13 (XIII) Retro French Blue, University Blue, Flint Grey color-way is one of many Air Jordan XIII Retro’s to be released within 2004 and 2005. An original color-way, this combination is definitely nothing new, but very fitting for the sleek curves of the Air Jordan XIII. The Air Jordan 13 (XIII) Retro French Blue – University Blue – Flint Grey was released on March 19th, 2005 retailing at $150.